The cryptocurrency manager for your Mac. Manage your cryptocurrency portfolio securely from your Mac. View your transactions across multiple wallets, send & receive, buy & sell, plus exchange, all from within a native desktop experience. 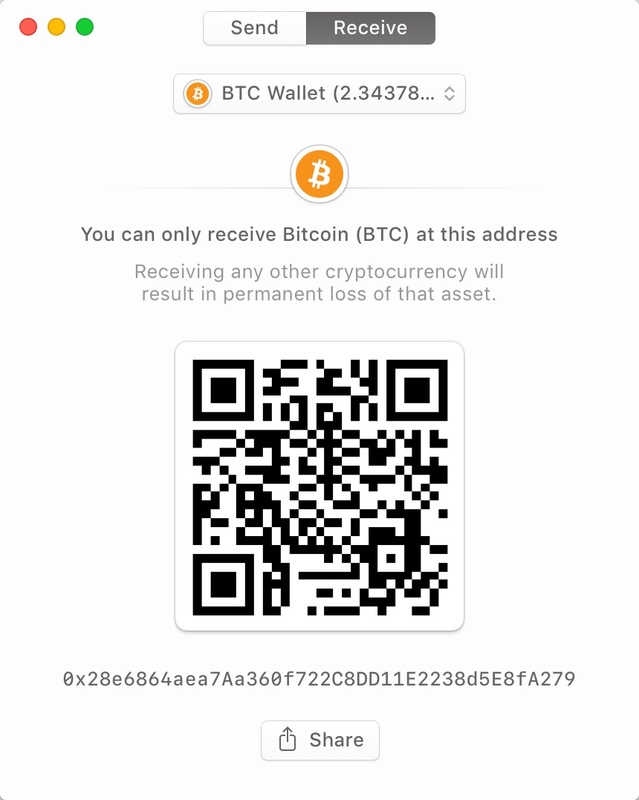 View and make transactions across every one of your Coinbase wallets and vaults. Integration with Changelly means you can exchange between any coins in your account. Developed exclusively for macOS, with full support for Dark Mode in Mojave and security built in. 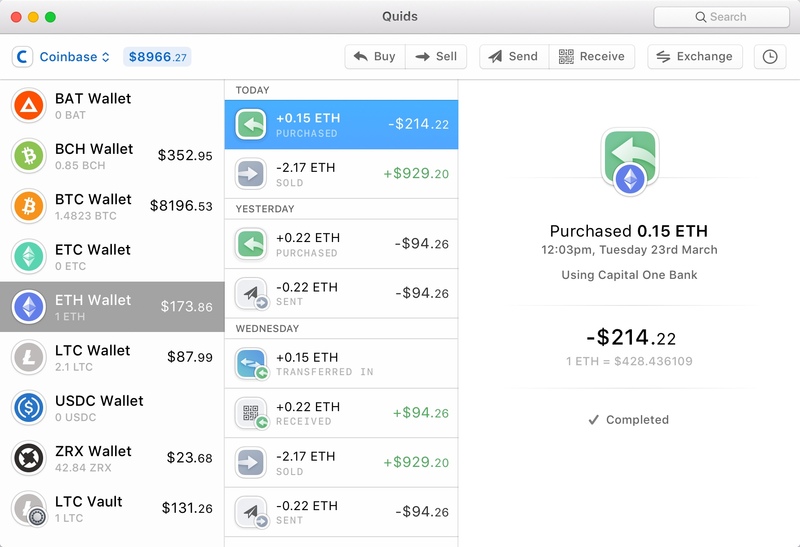 Quids has been built with complete support for Coinbase, one of the world's leading cryptocurrency platforms. 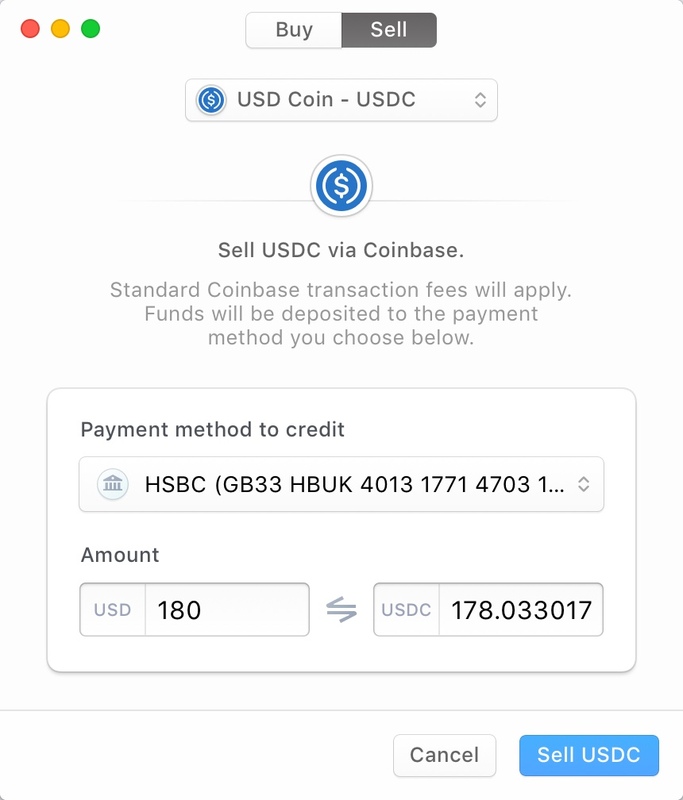 Everything you can do with Coinbase, you can do right from Quids on your desktop, with the same security. 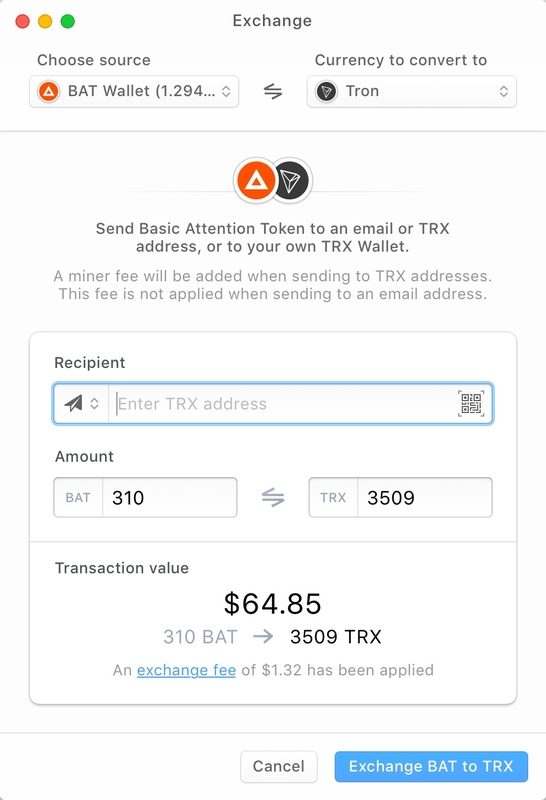 We're not stopping with just Coinbase — we'll be adding support for Binance (among others) next. We'd like to hear from you which platforms and services you want to see Quids support in the future. To make Quids free for our users, we only make money from Coinbase Referral link referrals and when exchanges are made with Changelly Referral link. Wallet support for BTC, ETH, LTC, BCH and the ability to exchange with many more. View every transaction for every wallet in your account, all with rich metadata. 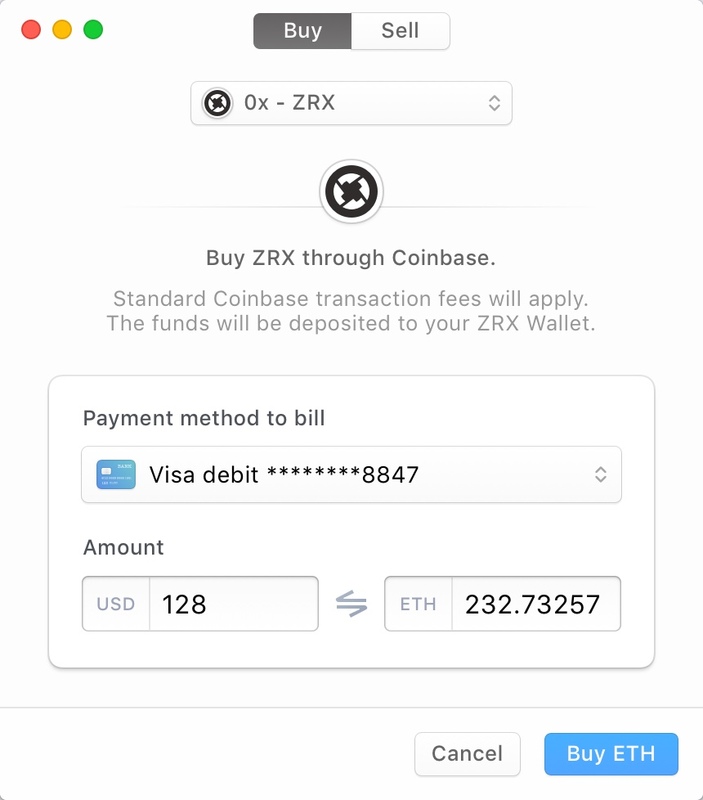 Any currency that Coinbase supports can be bought and sold with no additional fees. 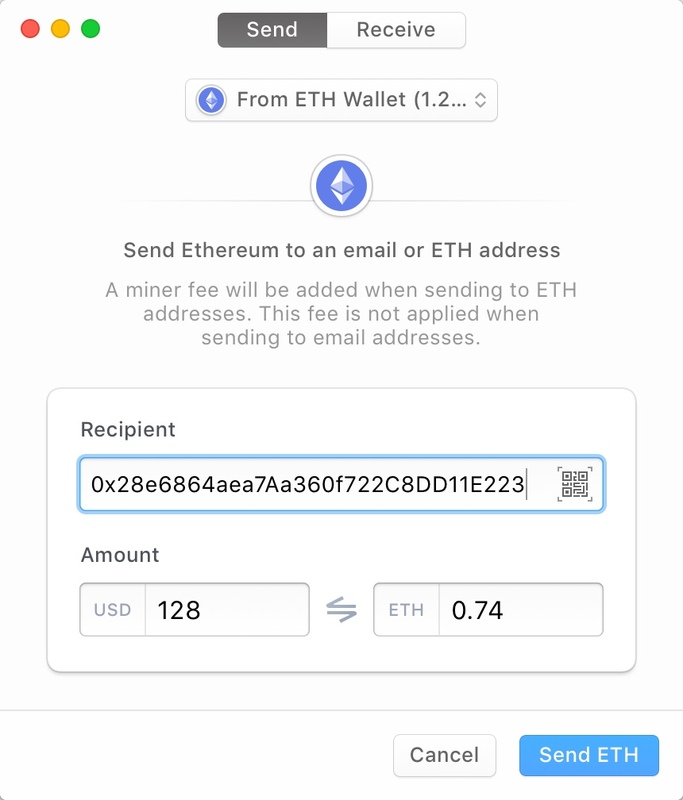 Send currency to both email and wallet addresses. Share and scan QR codes, right within the app. Exchange between hundreds of cryptocurrencies through our integration with Changelly. All your data securely encrypted. Lock Quids with a password. Touch ID compatible. Every transaction fetched and updated in realtime, with support for rich notifications. Built exclusively for the Mac, making full use of macOS features and Apple hardware. Check out the changelog to see what's been shipping and what's coming up next. Everytime we have an update available you'll see it documented on the changelog. Seeing an issue? Have an opinion on what we're missing? Or just a piece of feedback for us? Visit our community on Spectrum for help and message our team there for support. 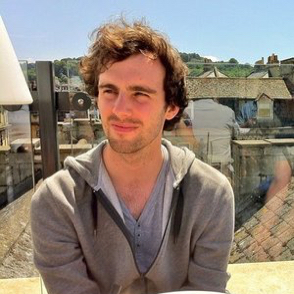 Contract iOS & macOS developer. 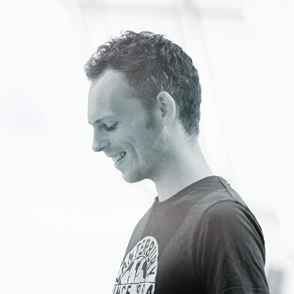 User experience designer at Heroku. © 2019 Quids. All rights reserved.